Eric Jones serves as Jacinto City’s certified Animal Control Officer. He is a longtime employee of Jacinto City and loves animals. All dogs & Cats (4 months and older) within Jacinto City are required to be vaccinated against rabies by a licensed veterinarian. Owners are responsible for keeping records of vaccinations for their pets. Dogs & cats are also required to have and wear an animal license tag from Jacinto City. Tags for vaccinated pets are available at city hall for a $ 10.00 fee. With proof that an animal has been spayed or neutered this fee is waived. 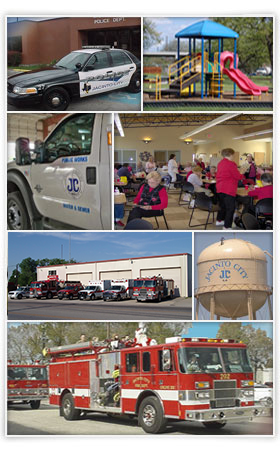 All dogs within Jacinto City are required to be kept within an enclosure or on a leash. Under no circumstance shall dogs be allowed to run at large. Each Spring Jacinto City hosts an animal vaccination day event. The date for this event will be posted on the city’s website, Facebook, Twitter and city signs. Any residents wishing to adopt a pet should contact the public works department.